December 5, 2018 / Modified dec 5, 2018 3:38 p.m. The goals of the Tucson Emerging 2030 District mirror those of the Paris Agreement. 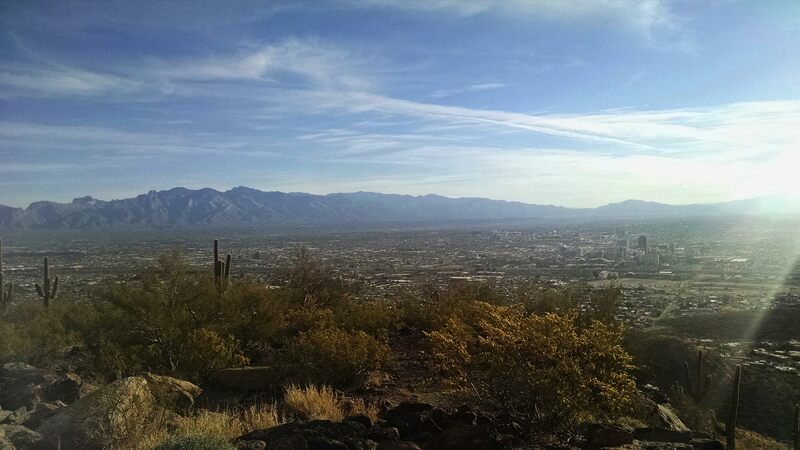 A view of Tucson from Tumamoc Hill. The University of Arizona, the city of Tucson and Pima County have agreed to join a district dedicated to urban sustainability, including reducing transportation emissions. The Tucson Emerging 2030 District centers on downtown Tucson and has the goal of reducing energy and water consumption and transportation-related emissions by 50 percent by 2030. The goal mirrors the guidelines set out by the Paris Agreement on global warming. President Donald Trump wants to pull the U.S. out of the accord in the future. Organizers for the district called the three groups signing on a "grand slam." "Before this happened, we had approximately 20-plus buildings that had committed in joining the district in the last couple years. With the University and the county and the city, there's another 250 plus buildings that are now involved in the conversation," John Eisele, executive director of Tucson Emerging 2030 District. More than 20 cities across the country have 2030 districts.